"Does anyone have thoughts on the Gen 2 Chevy Volt vs Toyota Prius Prime? Who has driven the Prime and can provide thoughts on comparing it to the Gen 2 Volt. My drive was 94 miles one way 95% interstate at 70-75 mph. I charged level 2 at home and work. I am thinking and planing for my next vehicle purchase. And I do not have enough for a Tesla. I want to keep my next purchase around $17-25k," wrote one user, named Nathan at the GM Electric Vehicle Owners group on Facebook. 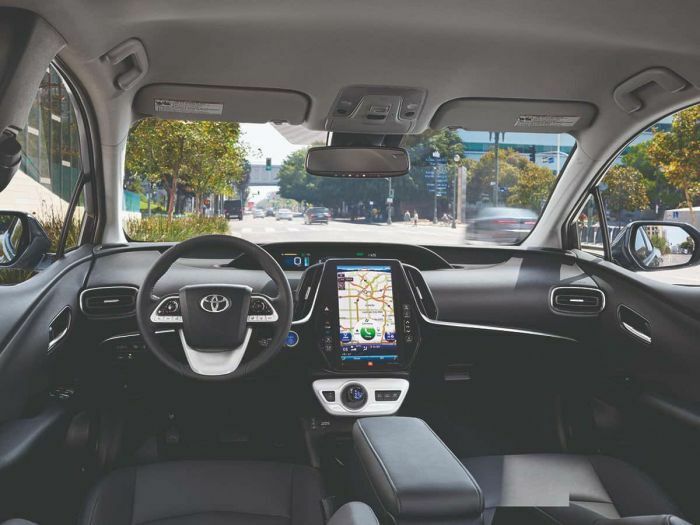 Here are few interesting and valuable answers from current Chevy Volt owners comparing the Volt with Toyota's Prius Prime. I have test driven the Prius Prime. It's a little underpowered and the integration is rough. I would suggest you look at a used 2016 Volt, or maybe a used BMW i3. I tried the Prime and tried to “like” it, but I couldn’t. It reminded me too much of the Gen 1 Volt. The Prius Prime has four seats, shorter EV range, and steering isn’t very responsive. The biggest issue for me is the air-cooled batteries. Other PHEVs/EVs with passive or air-cooled batteries haven’t fared well for capacity loss or battery degradation (LEAF, Fusion Energi in hot climates, etc). I choose the 2016 Chevy Volt and have no regrets. Well, I looked at both a fully loaded Volt and a Prius for the 2018 model year. I had a 2013 Volt so I had already come to the same conclusion previously. Both times the Volts were better buying experiences. No one at Toyota dealerships would approach me. I looked at the cars and was given the cold shoulder as the only person on then lot... The Volts were more attractive and more affordable than equivalent Prius. They both had bigger batteries and massive electric ranges over the Prius. The dealerships approached me, backed off when I asked, and finalized everything when I was ready. Living with both Volts has been great. They are powerful, reliable, get good mpg, and aren't politicized. Charging at home and at work to full: a Volt would use 2.14 gallons of gas per commute day. A Prius Prime would use 2.68 gallons of gas per day. Comparing them over your commute and charging I come up with the Volt saving you 337.5 dollars per year based on gas of 2.50 and driving your commute 5 days a week 50 weeks per year. You’ll also get 2 5,000 mile oil changes saved with the Prius per year. 5 saved with the Volt. An oil change runs about 70 dollars at a dealership. The Volt saves another 210 dollars per year. The Volt over the Prime saves you 547.5 per year. I think the cost savings is small either way, Drive both of them select the options yow really want and choose the one that fits best. I have a 2011 Volt and love the handling and higher performance when compared to Prius. In the past I usually owned T-birds, Town Cars and Continentals and really find the Volt to be a better driving experience both in the city and on long trips. Editor's Note: In April of 2017 the Prius Prime chocked the EV sales passing the Volt and Tesla becoming the top selling EV of the month. The Toyota Prius Prime also became the top selling affordable EV of 2018 after 3 months in the year. But this is a good news, because GM's Mary Barra promised more EVs after Toyota's Prius Prime and Tesla's Model 3 passed Chevy Bolt EV in sales. I also recommend you reading Buzz Smith's article, titled Why Does Anyone Buy a Toyota Prius Prime? Disclaimer: Smith is one of GM's EV salesmen specializing only selling electric cars. What's your verdict: Toyota Prius Prime or Chevy Volt? Let us know, please, in the comments section below. I, myself am a 2012 Toyota Prius owner (not a Prime) and am very happy with my hybrid drive. I'm on my second Volt (2012 & 2018). The Prius just doesn't do it for me. I briefly thought about a Clarity but came to my senses and got the Volt. The first one was so awesome I just couldn't take a chance on anything else. I have both a Volt and a Prius. I may be interested in trading the Prius for a Prius Prime. Both cars are better than the other in certain categories. The Prius has more room, better gas mileage than the hybrid mode of the Volt. The Volt is quieter, drives much better in snow and ice, and gas much better acceleration. My Prius has a sun roof and solar panels to run ventilation in a hot parking lot, both not available on a Volt. I average 40 miles of electric driving before switching to hybrid mode on the Volt. I love both cars, which is why I have one of each. As a proud owner of 2017 Prius Prime, I still have my 2010 Prius III (with added leather) and owned a 2007 Prius III... I have increased my mph from 14 (Nissan Xterra), to 40's, then 50, and now 100mpg in the Dallas/Fort Worth area. I have also had the misfortune to have owned one GM car in my life, I am also a follower of Consumer Reports... quality is what quality is.... I would never buy anything made by GM... Call me tainted or not impartial.... I am okay with that. I love my Prius Prime (Advance model). If you enjoy driving cars, you should seriously look at the Volt. It's a driver's car with much more torque and amazing handling. We use Prii at work: They are slow, noisy, the steering has the feedback of a Wii with dead batteries, and it handles like a fat drunk wearing roller skates on an ice rink. Also, it's ugly. I have not driven a Volt, but both neighbors launch from stop signs like a bullet, and they both claim it handles great. A 3rd person keeps posting pics of his amazing fuel economy. Many comments, I have had 3 Prius's, the first was an 05 I traded for the 07 Prius TE w/Smart Key & other options that the 05 didn't have! also, I was nervous about the hybrid batteries! Now 11 years later the hybrid batteries are saying goodbye! Anyway, I haven't owned a Volt, I have test drove, rented and have friends w/Volts! The Power of a Volt to 2013 Prius IV is better! Seems to be a heavier car so I assume the Volt maybe better in snow, slush conditions! **But... now lets take a look at actual gas mileage! I have never ever never ever never seen a Volt get over 43 real miles per gallon! I have seen 37 to 43 MPG by the cars own calculator and my own to double check! *** Now lets take a look at Maintenance and Recalls PRIUS WINS AGAIN, Now lets take a look at overall Reliability & Economy PRIUS WINS HANDS DOWN! If I want to be hassled w/repairs and Recalls I'll buy a Chevy maybe built in Canada/Mexico! This Posting is only comparing that of a Regular Prius, not the Prius Prime! I'm sure the PRIME would smoke the opposition if the Regular Prius Hybrid Surpassed 9 of the 10 aforementioned tests for the last 13 years! Three Million (3,000,000+) Plus Prius Owners can't be wrong! Prius is a WIN WIN WIN all the way around! The Volt is only American in Name, stick with Toyota for Higher Resale, Higher Value, Prius Are Far Superior Dependability and Longevity = Superior Vehicles Economically, there is no debating that! The Chevy Volt is built in Detroit, Michigan. The Prius is built in Tsutsumi, Japan. Since the Volt's battery covers most people's daily needs, mpg is irrelevant except on getaway trips. I'm currently averaging close to 300 mpg, something the Prime could never do.